Through the construction of The Almondell Model Engineering Centre (AMEC) the Society would like to expand our community involvement and the extension of our educational options. Already we have had the opportunity to assist students with the their Junior Award Schemes for Schools (JASS) projects. We have worked with Scotland’s Rural College on landscaping designs and with Concrete in the Classroom schools project. AMEC offers the base from which to pass on the skills of model engineering to all people, young and old to share and learn together. Our members construct a range of working models, be they for road, rail or to operate statically. A brief look through the ‘gallery‘ and ‘about us‘ section illustrates the range of skills. 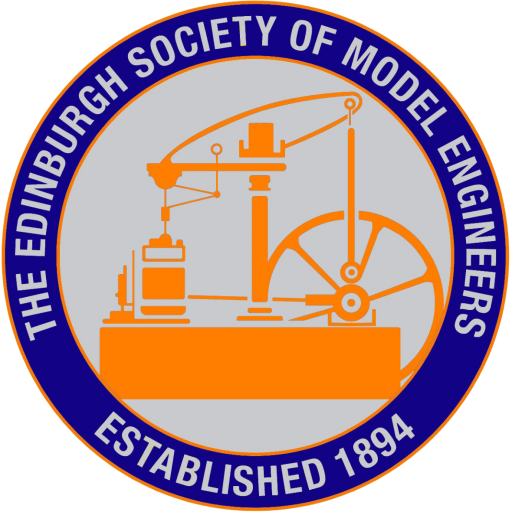 We are keen to inform local organisations about the art of model engineering, our society and the opportunities that we are creating through the construction of the Almondell Model Engineering Centre. We have developed a talk and presentation that has been become popular with other clubs (Rotary, Round Table, etc) and we would be happy to extend this to other groups who may have an interest. If you would like us to come and tell your organisation about our activities then please let us know. Talks can be tailored to length of time available and to the audience’s interest. We welcome new initiatives and support that might help us to expand the knowledge and skills of model engineering in the community. ESME was approached by the cousin of a blind piano tuner (Les) who had a broken water fountain feature which he liked to have running in the background as he found the sound of the running water soothing. Surfing the net to find somewhere to go to get this repaired he came across our website and took a chance that we may be able to help him. “Les phoned me today to update me on the water feature repair you have kindly taken on and brought to a fantastic conclusion. Your efforts on our behalf is very much appreciated and has solved the problem I had with finding a replacement unit. I will uplift the new unit when I visit Les and try and solve the splashing problem it has. Les is very happy getting his water feature back and to my thinking a great piece of public relations worthy of adding to your site information should you wish. 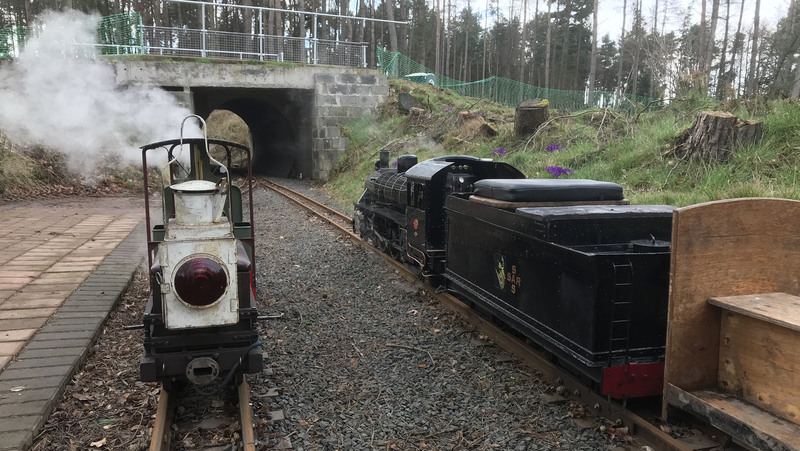 “On Tuesday 17 July, a member from the Scottish War Blinded who has Visual Impairment and I were invited to visit the Almondell Model Engineering Centre (AMEC). Given the centre is still a building site, we were amazed at the scale of construction and the vision the centre has for the project knowing it’s being developed by retired professionals. ESME member John guided us to the train station which is all being constructed with a curved path and meticulously shaved paving stones. He explained how the tunnels were made, the tracks all multigauge and constructed with fine attention to detail. We then trod carefully around the entire site, talking about the futuristic technological ideas that the centre want to use to inspire all generations. John explained that it should feature a long bridge over a waterway, turning circle and a state of the art Heritage Centre for educating and a museum. It’s useful to have a vivid imagination for this immense project, considering once the site opens to the public it should go from strength to strength. We have just made an 8’ x 4’ 00 gauge trainset in Linburn, so our members have been inspired by making this model.